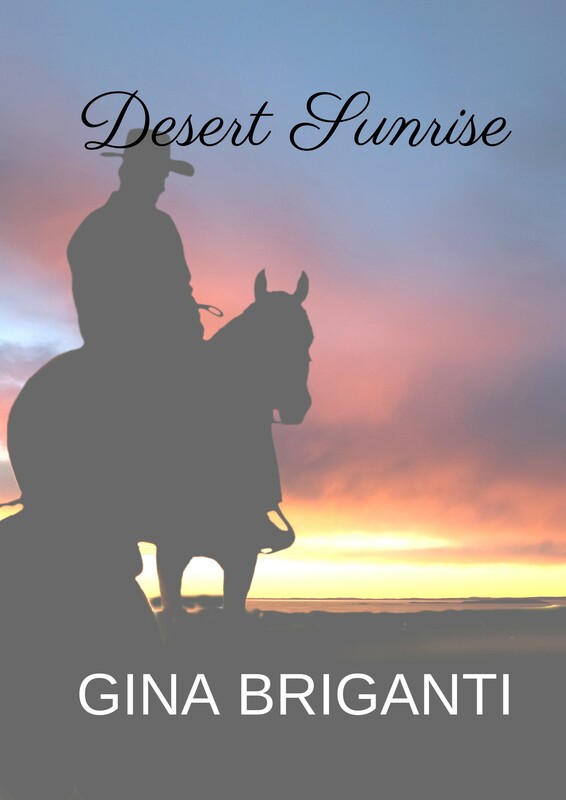 Desert Sunrise by Gina Briganti, the second full-length book in the Natural Gifts series, is now available for Kindle and in paperback! If you want a signed paperback, let me know; Amazon doesn’t have them. Desert Sunrise is an uplifting paranormal romance, and the Natural Gifts series is where fate gets a good name. I’ve been enjoying this story for four years, and now I am able to share it with all of you! Life is good for Lucy Shannon. Love will be too, when the man she knows is out there for her finally shows up. Until then she is going to enjoy herself. So what if her ex-fiance tossed her heart into a blender? Years of therapy had put that in perspective. Stan Spellman doesn’t think like her. Not in the least. Sure, life is good. He does what he loves every day, spends a pleasurable night with a woman when he wants to. Love? Happily ever after? He’s seen the rare occurrence of it. That’s as far as his thinking on the subject goes. They’re both scheduled for a wake-up call that will change their lives forever, fulfilling dreams they never knew they had. Are you getting my newsletter? I share fun, interesting, exclusives with my readers in it. Sign up takes only a few moments, and your information is not shared with anyone else. Thank you for sharing this special day with me. Next > Would You Give Back, or Erase, Your Natural Gift? Lucy has a special place in my heart because of her exuberance. I’m glad it came through to you, too. Congrats on the recent launch! 🙂 I’m glad I’ve found your blog, it seems really interesting and I’m excited to learn more about your writing. Thank you, Callum! These are exciting times for writers. I’m interested in reading more of your work.